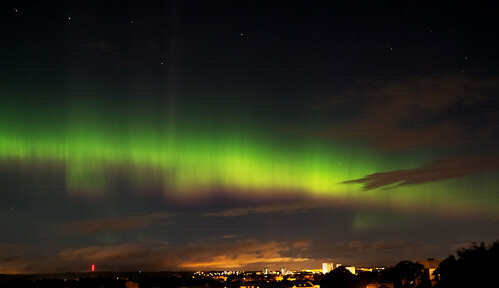 The Aurora Borealis (“Northern Lights”) from central Edinburgh. Early morning, 8 September 2017. 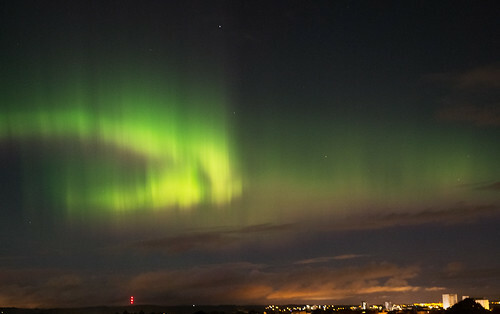 Looking out of the window as I was going to bed I noticed a green cloud and realised it was the aurora – there had been a lot of online talk of the possiblilty of a good aurora. 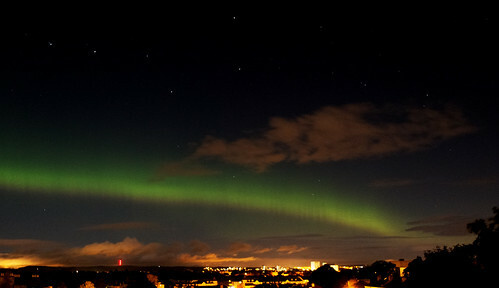 It was the brightest aurora I have seen, despite the city lights. It was very active – I could see it move clearly, which I haven’t before. Lots of colours and lines. 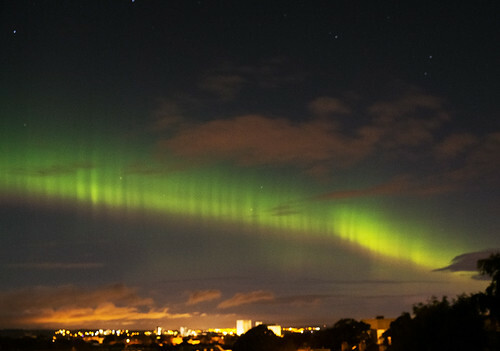 It was a classic auroral display like those in films from Iceland or Norway – but from the city. 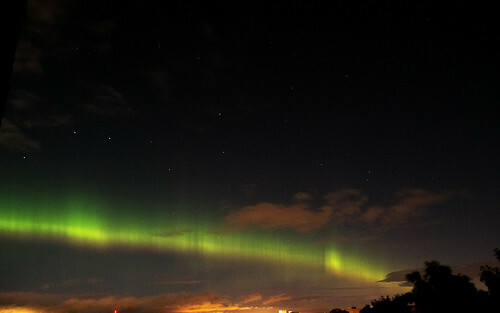 These pictures were taken over the course of about an hour, 1am-2am BST. 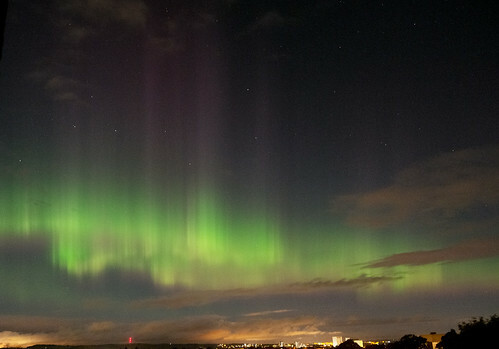 The brightest stars visible to the left of each photo are the Plough. 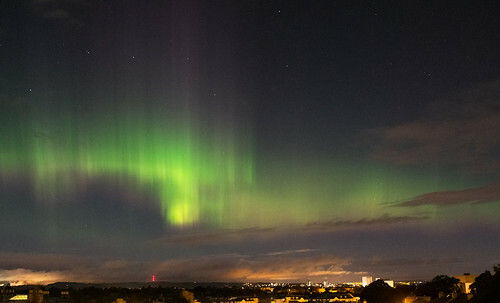 The red lights visible on the horizon are the Craigkelly transmitter in Fife; the brightly lit building to the right of each picture is Chancelot Mill. 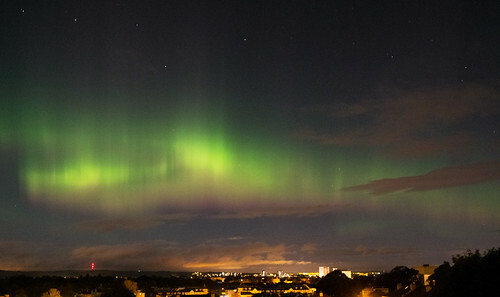 Fuji XE1. ISO 1200-6400, various exposures. 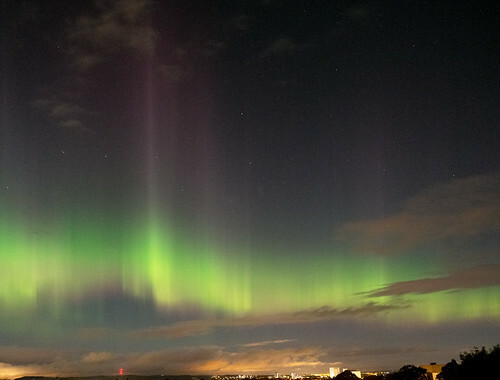 This entry was posted in Land & Sky on September 8, 2017 by patrickhadfield.